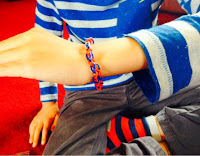 Big Prince has really taken to the loom band fad that all the kids are into at the moment. 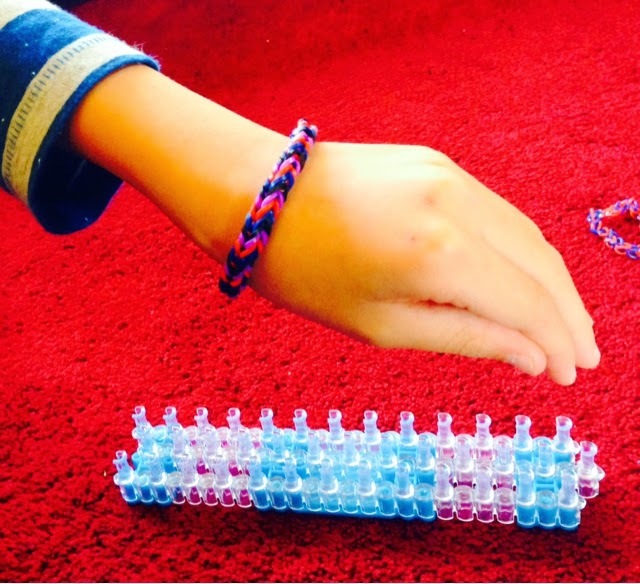 I recently had the chance to review a Rainbow Braid 5400 refill kit and thought the summer holidays was the perfect time for it. When the packet arrived in the post it was perfect timing; the hubby was about to start a week of busy work and I had nothing planned to entertain the kids. BP has been making loom bands by hand (without a loom) for a while but could only manage the single ones. 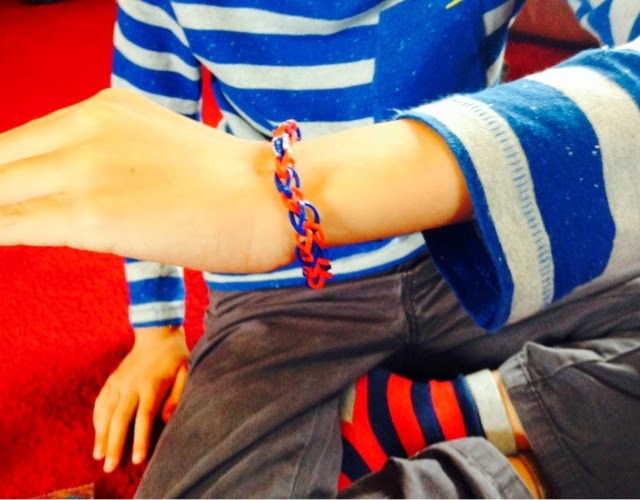 With a new loom and these new Rainbow Braid bands in the lounge he was eager to try making the different kinds of bands. We opened up the pack and emptied all the colours onto the carpet. Each colour comes in its own little resealable pack which is really handy when you have a 5 year old wandering around. Solid colours - red, white, purple, turqouise, black, light blue and dark blue. Glow in the Dark - yellow, green, blue, pink, orange, purple. 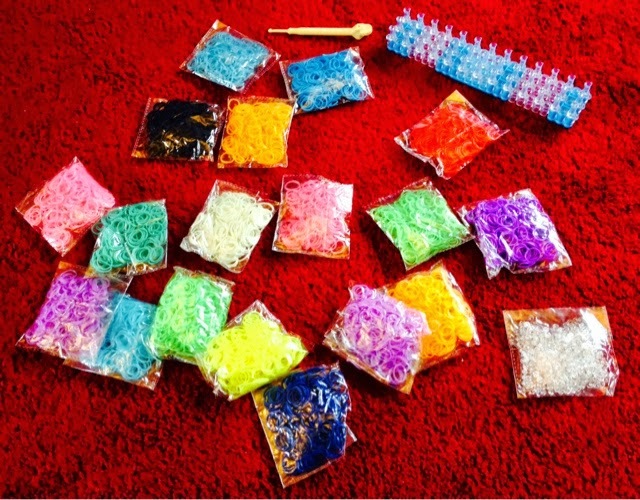 Glitter - pink, blue, purple, orange, green. There is a pack of 250 clips also included. 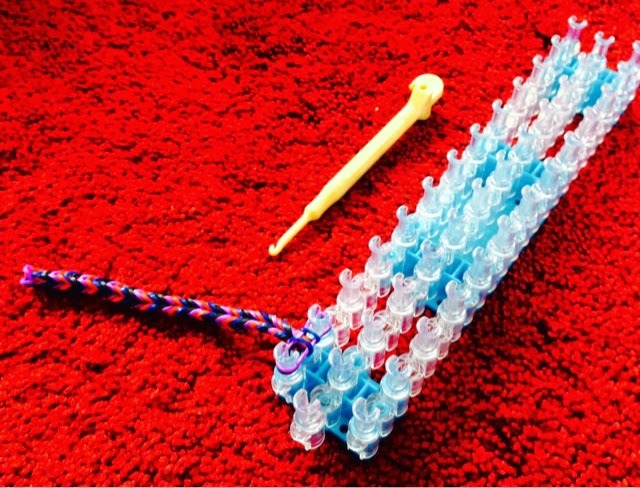 BP couldn't wait to get started and his first point of order was to make a single band using the loom. He made quick work of it after watching a youtube video and placed it to one side. Next he asked me to find a video for him to make a 'fishtail' band. I did and he watched intently while trying to follow the instructions. As I watched him using the hook tool to pull back the bands I noticed how stretchy they were. BP had a pack of loom bands recently and I kept finding snapped bands all over the house but these Rainbow Braid bands seemed to be super stretchy. Once he'd finished his first fishtail band he put that aside and wanted to move on to the starburst. After only two bands the starburst proved to be a little too difficult for him and he went back to making more fishtails. I think after a little more practice he might be able to manage it. Both BP and LP have made me bands of my own with their previous packs but for some reason I can't wear them, they irritate my skin. The smell of them isn't too pleasant either, they smell like fuel or something! With the Rainbow Braid bands there isn't a smell (not that I noticed anyway) and I've been wearing a band for a few days with no irritation. 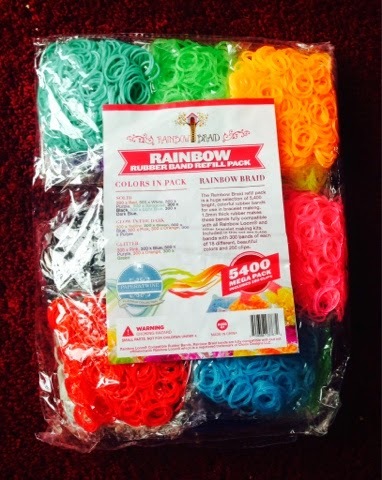 You can buy the 5400 Rainbow Braid refill pack from Amazon for £14.90 (free delivery). 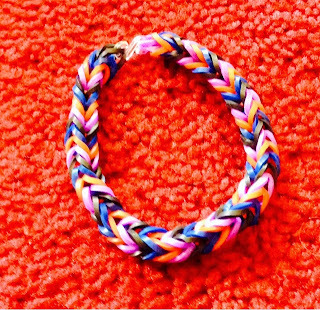 I have seen smaller packs of loom bands for a lot more than that, often at market stalls that we happen to be passing. These bands are really good quality, very stretchy with no unpleasant odour. 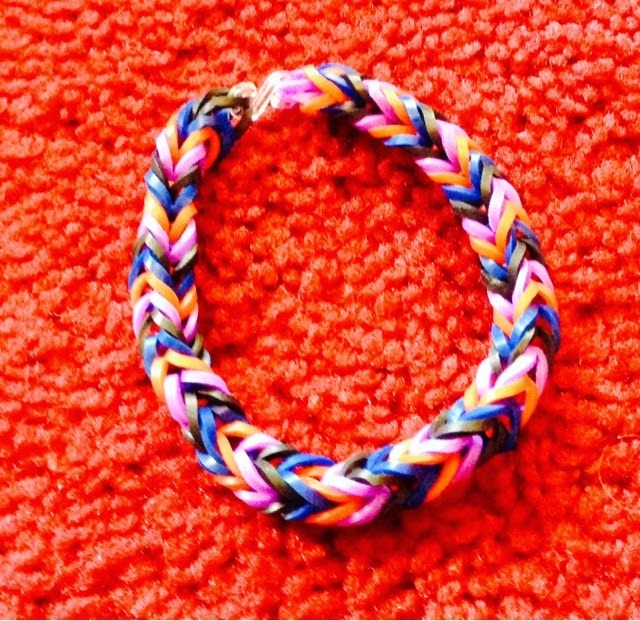 A must for any loom band enthusiast. I was sent the 5400 refill pack free of charge for the purpose of review. All thoughts and opinions are my own.